New board members of the Endless Mountains Heritage Region confirmed on Wednesday evening include (above, from right) Denise Lambert, Lynnelle Welch, and Chris Brown. Sandra Wilmot (left) returned to the board to resume representation for Susquehanna County. 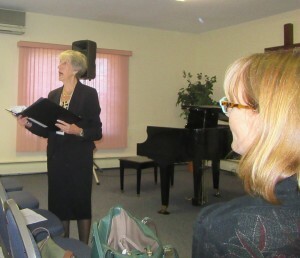 Board members and supporters of the Endless Mountains Heritage Region (EMHR) met at the Montrose Bible Conference on Oct. 5 to attend to some annual business, enjoy a meal together, and to learn from Elizabeth Watson, Principal of Heritage Strategies, a professional consulting firm specializing in planning for historic communities, cultural landscapes, heritage areas, and historic properties. Among the official business conducted was the approval of a slate of new members and officers by the board and their confirmation later by the greater membership. 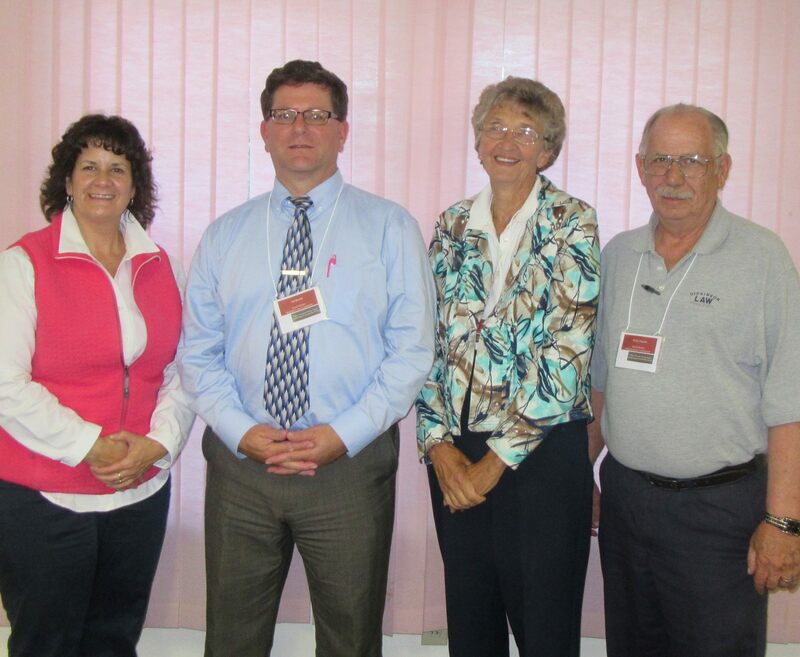 Ed Zygmunt of Susquehanna County was elected as the new president, followed by Erica Rogler of Wyoming County as vice president, Joyce Kerrick of Bradford County as secretary, and Melanie Norton of Sullivan County for a second term as treasurer. 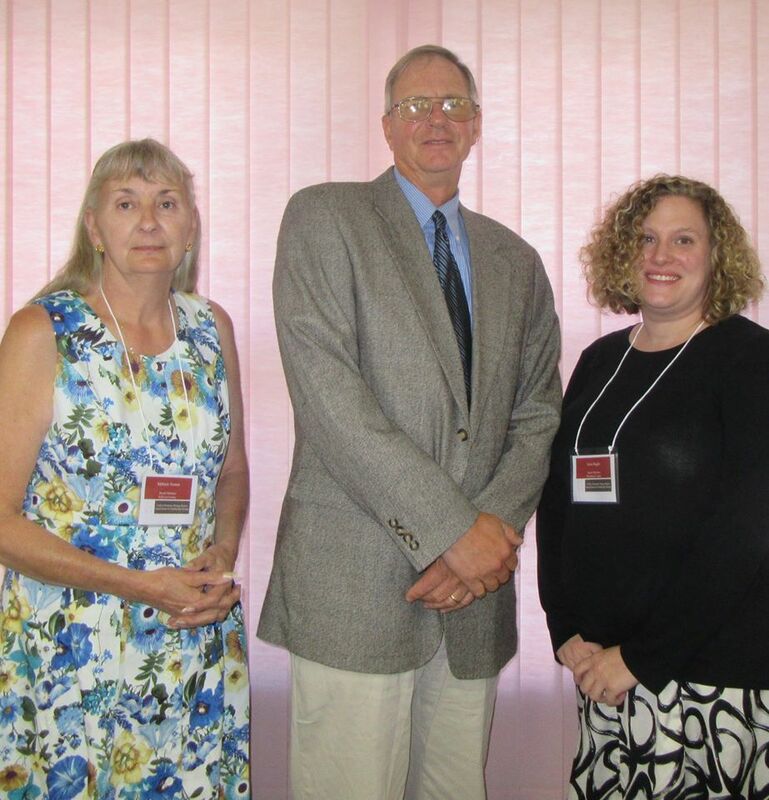 New board members include Christopher Brown of Bradford County, Denise Lambert of Sullivan County, and Lynnelle Welch of Wyoming County. Sandra Wilmot of Susquehanna County was brought back to the board after taking a break for a year. EMHR executive director Annette Schultz credited the nominating committee for bringing to vote a slate of individuals with a variety of talents and backgrounds that will serve as assets to the organization. Brown, for example, is an economic development specialist from the Progress Authority, which serves Bradford and Susquehanna counties. Welch is the Wyoming County Community Planner. Lambert is a business owner from Dushore, and Wilmot has successfully led the Clifford Township Historical Society for a number of years. Scott Wilcox and Rick Hiduk agreed to serve second three-year terms, representing Bradford and Wyoming counties, respectively. The board also welcomed Elizabeth Arnold as a representative from the Susquehanna County Commissioners and Robyn Chamberlain, director of the Bradford County Tourism Promotion Agency. Outgoing EMHR president Alice Deutsch, who conducted her final meeting, remarked that the EMHR board is now more unified than ever. 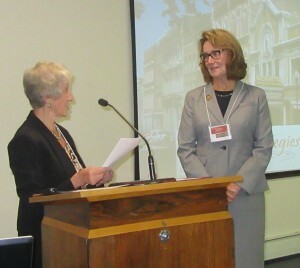 “I know that you will all work together to do what is best for the Heritage Region,” she stated. As the business meeting came to a close, non-voting members and other supporters were gathering at the center of the lodge to partake in healthy hors d’oeuvres and a silent auction of items donated by EMHR board members. 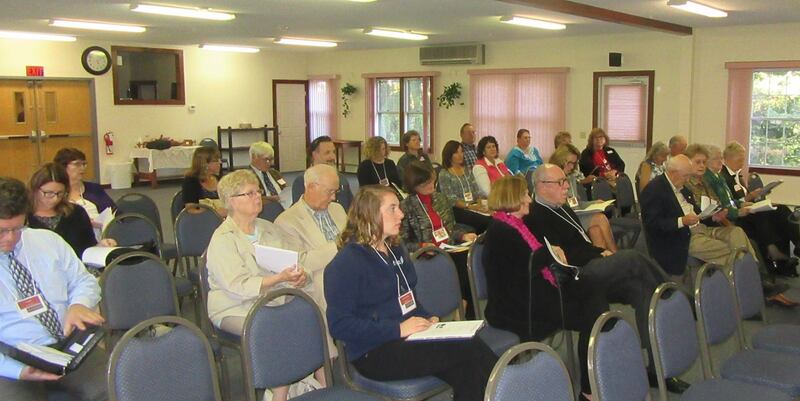 A general meeting of the greater members convened, during which Schultz outlined the organization’s recent success, including well-attended River of the Year events and the completion of a Susquehanna County Heritage Attractions sign, which will be unveiled in Forest City on Nov. 1. Looking forward, Schultz detailed some of the ways in which the newly created Endless Mountains Heritage Partnership will work to establish stronger branding for the Heritage Region, better relate the individual stories of communities and the Region’s shared heritage, protect heritage assets, facilitate new sites, build capacity through partnerships, and diversify funding streams for the sake of sustainability. 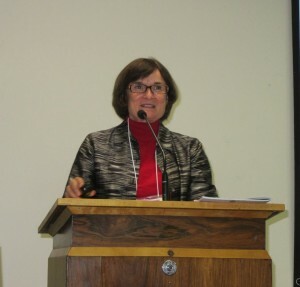 Watson, who helped in the initial planning and development of the EMHR in 1998, echoed and expanded upon many of the points Schultz made during Watson’s well-received presentation following dinner. Watson began with a historical overview of preservation efforts in the United States, which began in 1809 with a movement by Philadelphia and the Commonwealth of Pennsylvania to preserve Independence Hall. Watson noted several times that, while her career has taken her across the nation and back, Pennsylvania has always held a special place in her heart. Pennsylvania consistently ranks in the top ten for tourism in terms of jobs created and revenue realized, and Watson encouraged EMHR members to bend the ears of public officials to get them to understand the potential of promoting local destinations to tourists. The educational component is equally important, she added, for current residents and generations to come. The EMHR board will meeting Bradford County on Dec. 7 at location yet to be determined. 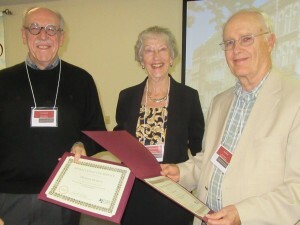 To learn more about the organization, log on to www.endlessmountainsheritage.org. 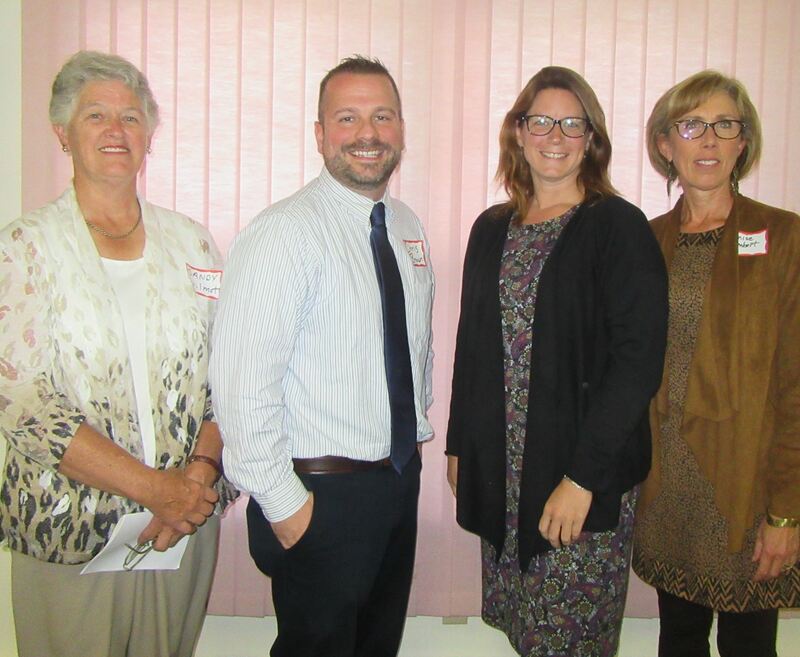 Newly elected officers of the Endless Mountains Heritage Region include above, (from left) Melanie Norton, treasurer; Ed Zygmunt, president; Erica Rogler, vice president; and (not pictured) Joyce Kerrick, secretary. County commissioners representing all four counties constituting the Endless Mountains Heritage Region at Wednesday evening’s annual dinner and membership meeting included (above, from left) Elizabeth Arnold (Susquehanna), Ed Bustin (Bradford), Judy Mead (Wyoming), and Wylie Norton (Sullivan). Alice Deustch (above, left) presented Sandra Major, who will retire this year as State Representative of the 111th District, a plaque for her many years of support of EMHR efforts. 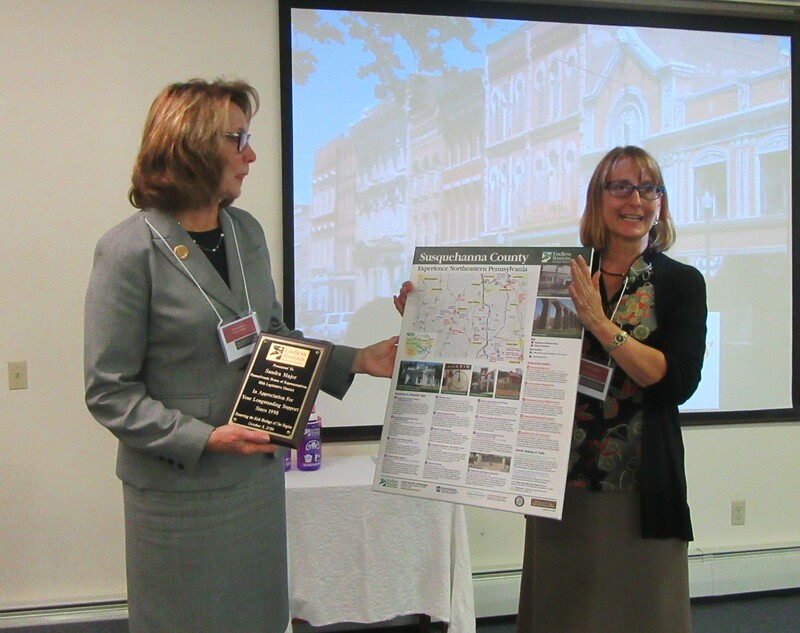 Schultz (below, right) presented Major with a smaller version of the Susquehanna County Heritage Attractions sign that will be dedicated in November. Outgoing EMHR president Alice Deutsch (above, center) presented outgoing board members Tom Henson (left) of Bradford County, Jack Davis (right) of Susquehanna County, and Sarah Carr (not pictured) of Wyoming County with certificates of appreciation. 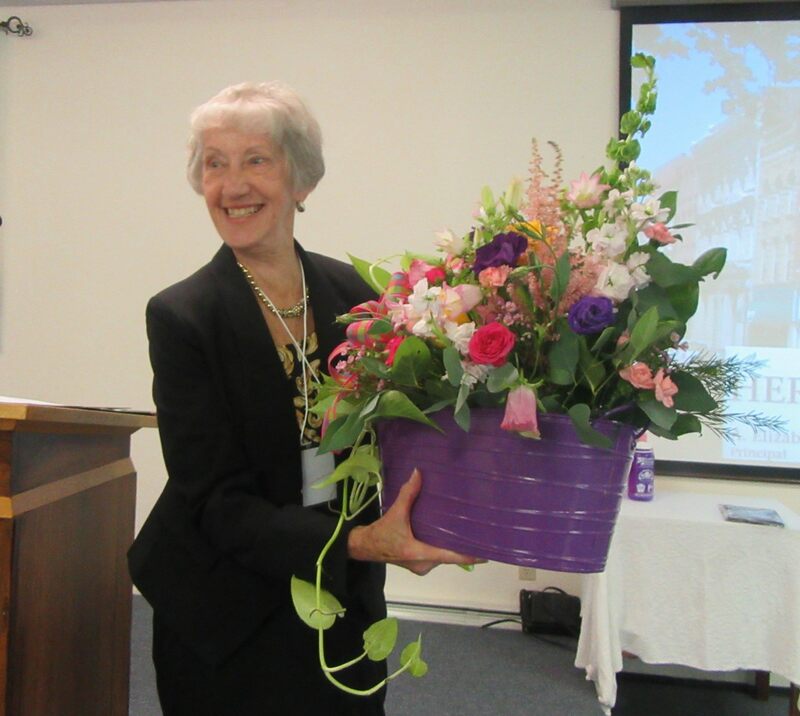 As she completed her last meeting as EMHR president, Alice Deutsch was presented with a bouquet by EMHR executive director Annette Schultz (not pictured). National heritage consultant and author Elizabeth Watson served as the keynote speaker for the annual membership meeting and dinner of the Endless Mountains Heritage Region. As EMHR director Annette Schultz (above, foreground) looks on, Alice Deutsch of Susquehanna County begins her last meeting as president.